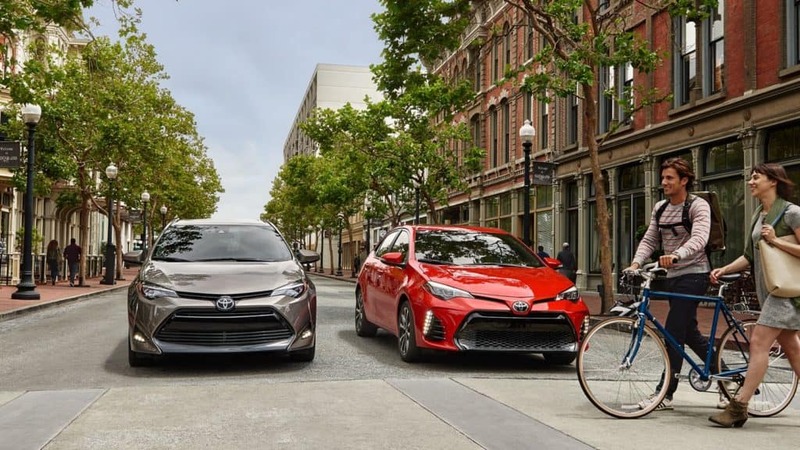 The Toyota Corolla is an excellent compact sedan for Marietta drivers, as it recently earned a 5-Star Safety Rating from the NHTSA. It also comes packed with all of the latest tech, comfort, and convenience features. It’s time to get behind the wheel of this chic 4-door sedan, so you can experience firsthand everything it has to offer. Don’t forget to take complete advantage of the Toyota lease deals we have available on the Corolla! 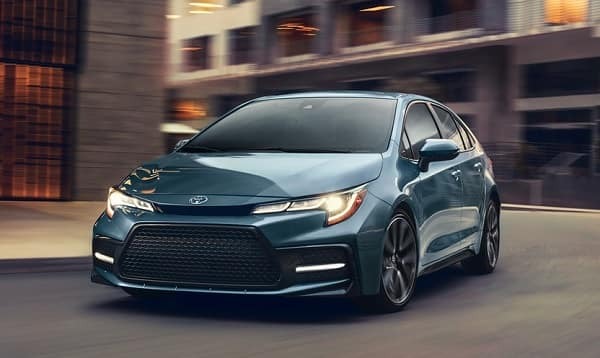 Let’s get you to where you’re headed in style and safety, in a New 2019 Toyota Corolla. Recently restyled with a sportier edge, this sleek sedan’s front profile delivers an excellent first impression. A tailored interior offers lots of comfort -including top technology that syncs with your lifestyle, like standard Entune Audio with a 6.1-in. touch-screen display and integrated backup camera to help get you where you’re headed. Standard Toyota Safety Sense-P (TSS-P) helps get you there safely. Now you’re headed in the right direction. For well-qualified lessees with approved credit through Southeast Toyota Finance. Not all lessees will qualify for this payment amount. Closed-end lease on new 2019 Corolla LE model # 1852 Hatchback and iM with automatic transmission and select equipment. Adding options increases payment. $179.00 per month for 36 months. $2,878 due at signing includes $2,699 down payment and first month's payment. No security deposit required. $17,729 Adjusted Capitalized Cost is based on down payment; excludes tax, tag, registration, title and includes dealer documentation fee ($699). Monthly payments do not include applicable taxes. Lessee pays the remainder of maintenance after ToyotaCare expires, excess wear and use, and $0.18 per mile over 12,000 miles per year. Lease payments total $6,444. Disposition Fee of $350 due at lease-end. May not be combined with any other offers except this Special Lease offer. Lease offer ends 4/30/2019. For well-qualified lessees with approved credit through Southeast Toyota Finance. Not all lessees will qualify for this payment amount. Closed-end lease on new 2020 Corolla LE (Non-Hybrid) model # 1852, excludes Hatchback and iM, with automatic transmission and select equipment. Adding options increases payment. $199.00 per month for 36 months. $2,898 due at signing includes $2,699 down payment and first month's payment. No security deposit required. $18,560 Adjusted Capitalized Cost is based on down payment; excludes tax, tag, registration, title and includes dealer documentation fee ($699). Monthly payments do not include applicable taxes. Lessee pays the remainder of maintenance after ToyotaCare expires, excess wear and use, and $0.18 per mile over 12,000 miles per year. Lease payments total $7,164. Disposition Fee of $350 due at lease-end. May not be combined with any other offers. Ends 4/30/2019. Why Opt for a Toyota Corolla Lease at Marietta Toyota? At Marietta Toyota, we’re happy to offer Smyrna drivers a variety of Toyota lease deals to make their Corolla lease more affordable. Contact us today if you have any questions, would like more information, or to schedule a test drive. We look forward to helping you find the vehicle that fits your needs and budget the best!